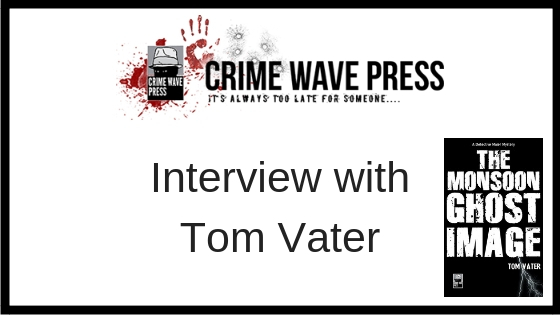 Today, I have a special video interview with crime writer and owner of Crime Wave Press, Tom Vater. Debbi: [00:00:10] Hi everyone. This is a little different than usual today. In a departure from my usual reviews and other stuff I put up here, I’m interviewing another crime fiction author. His name is Tom Vater and he’s a journalist and author. So, he is located in Bangkok and writes some very interesting stuff about that place. So, I would like to welcome you on the channel. Tom: [00:00:43] Hi Debbi. Thanks very much for having me on the show. It’s wonderful to meet you on this amazing technology we’re using. And it’s great to talk to you about six, seven thousand miles away or even more, so it’s amazing that we can actually do this. You at the beginning of your day and me at the end of it. Debbi: [00:01:03] Yeah. I’ve always been amazed that this sort of thing. So my assumption is that you started with journalism and went into crime writing. Would that be correct? Tom: [00:01:14] Well, actually it sort of happened hand-in-hand, because the first article I ever wrote for a newspaper was in 1997 for a paper in Nepal. And while I was there I started thinking about writing my first novel The Devil’s Road to Kathmandu, which then eventually came out in 2004. So it it kind of happened at the same time. But I would say that you know between the pieces of fiction I write there are long gaps for professional reasons. And so most of the time I have a day job. I do journalism and when I have some months off and I can sit down and write a novel. 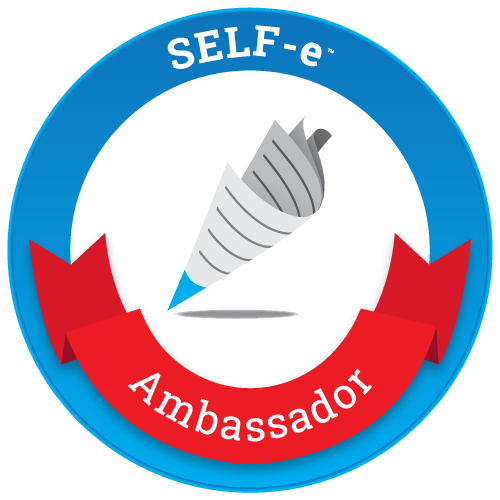 Debbi: [00:02:02] So you’re primarily a journalist who also does crime writing? Tom: [00:02:07] Yeah, you could say that. 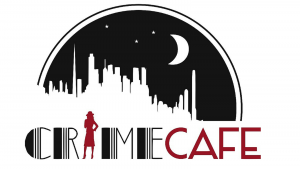 I also own a small publishing house Crime Wave Press, which is a crime fiction imprint based in Hong Kong which does mostly e-books and we’ve published about 32 titles by all sorts of authors, many of them from the US. So that’s my other gig. So I kind of do three different things I’m a crime fiction writer, I’m a very small press publisher with have just one partner, and I’ve written four crime fiction novels and a bunch of short stories. Debbi: [00:02:39] I’m interested in the fact that you do so much stuff. I’m also interested in the notion of the journalist going into this sort of thing, because the tradition of journalists going into fiction writing is historically something I’ve always been kind of intrigued by. Which is why I majored in journalism actually, because of my interest in writing and in fiction in general. What made you choose crime fiction in particular as a genre? Tom: [00:03:17] I think it’s probably several things. [00:03:19] One is genre fiction kind of makes it easy, because it’s got many established rules and tropes and conventions and and so in that sense it’s quite conservative. So as a writer, there’s a lot of things to hold on to when you’re writing your first novel, because it has to go a certain way if you’re going to follow crime fiction conventions. 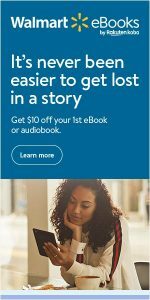 If you write literary fiction it seems at least to me when I was in my 20s, it seemed much more disorienting and I didn’t know really how I would do that character development or more stuff, but in crime fiction, you know you have certain stock characters and certain ways the plots develop and end in the end. So I felt certainly with my first novel The Devil’s Road to Kathmandu that I wanted to just write a sort of conventional adventure story. It’s the story of four young guys who in 1975 hit the hippie trail between London and Kathmandu and drive a van from London to Kathmandu and on the way they make a drug deal that goes horribly wrong and disappears with the money and one of them disappears with the money. Twenty-five years later, his friends receive an email saying come back to Kathmandu and get yourself the money. So it’s like a classic kind of adventure story that I wanted to create and I just felt that this sort of crime fiction travel genre would be the easiest way of turning that into a reality. Debbi: [00:04:54] Yeah. Which novel is this? Tom: [00:04:59] I’m sorry. It’s my first novel The Devil’s Road to Kathmandu, which was originally published by a Hong Kong Publishing House in 2004 and is still in print. It’s out in English and in Spanish, and yeah it’s still after all these years. It’s actually still shipped some copies, so that’s quite nice. Debbi: [00:05:17] It’s interesting. It’s great. Sounds like fun. I’ve been reading your latest novel The Monsoon Ghost Image? 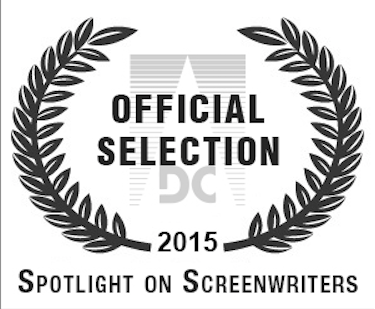 Debbi: [00:05:28] The detective character in that is very intriguing. Maier [Mih-er]. Is that how you pronounce his name? Tom: [00:05:33] Yeah, that’s how you pronounce his name, and I should say it’s a very German name. [00:05:38] It’s like one of the standard very common German names, but incidentally, it’s also the name of the sidekick in the John D. MacDonald novels. Debbi: [00:05:55] Oh, yeah. That’s right. Tom: [00:05:58] He’s spelled in a different way, but I was kind of inspired by that guy as well. Debbi: [00:06:03] Wow. Totally forgotten about that. It’s been so long since I’ve read John D. McDonald. Who I love. Tom: [00:06:11] Right. But, there’s always that sidekick in all those novels and he’s called Meyer. He’s spelled a little bit differently. He’s an accountant I think. [00:06:19] And so, in kind of an homage to John D. MacDonald, I called my detective Maier as well, but it is also a very, very common German name. Debbi: [00:06:30] Well, tell us a little bit more about the character and the series in general. Tom: [00:06:40] The series is now a trilogy. It’s basically … they are historical novels in a way. They deal with a particular aspect of history, but they are also just detective novels about a German detective who lives in Hamburg, works for a detective agency there. He’s a former conflict journalist, and he’s from the former Communist East Germany, as well, and he does jobs in Asia when German citizens go off the rails in Asia or they get on the wrong tracks or something tragic happens to them. He’s the guy who is sent by his agency to go and resolve the situations and clean up. 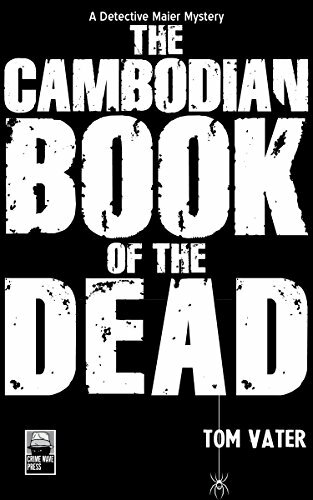 So, in the first book The Cambodian Book of the Dead, he goes to Cambodia as the title suggests and tries to find the heir to a Hamburg coffee empire who’s gone AWOL in Cambodia. [00:07:30] In the second book, he tries to resolve the 25 year old murder of a Communist cultural attache from East Germany in Laos, which to this day is Communist, and in the third book, he’s in Thailand. 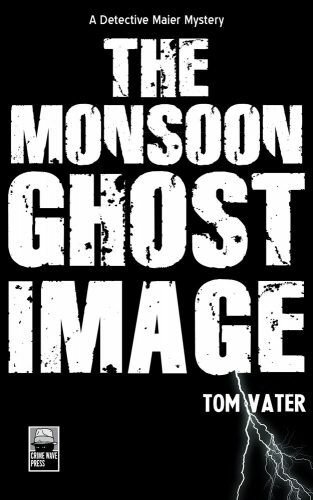 The Monsoon Ghost Image, which is just out, where he is investigating the disappearance of a celebrity photographer–the alleged disappearance–who is also alleged to have taken photographs of the CIA’s extraordinary renditions program that ran in the early 2000s in the wake of 9/11. [00:08:10] So all those books are kind of based in a historical framework, but they are also, you know, action-adventure detective stories that play in particular locations that I’m familiar with from a journalistic work, because I’ve been in Asia for 20 years and I know Cambodia, Laos, and Thailand quite well because I’ve worked in those countries a great deal. Debbi: [00:08:49] Well, I was intrigued by an interview that I read with you where you said, “Sometimes it’s easier writing about larger truths in genre fiction than it is in journalism and nonfiction.” And I’ve always thought that fiction is a great way to explore truth. What sort of larger truths have you taken on in your fiction? Tom: [00:09:03] Yeah. I mean in terms of the historical angle, the things I discuss in those three novels … they all have heavy duty historical themes. In the first one, I talk about the genocide of the Communists in Cambodia and the Western involvement in that. In the second book, I talk about the CIA’s secret war in Laos in the 1960s, which at that point was the American intelligence community’s largest campaign to date. And in the third book again, I look at American foreign policy. [00:09:37] So that’s kind of it. 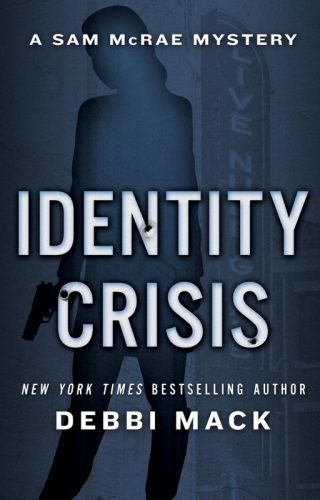 As a journalist, it’s very difficult to write about those subjects and take a step back from the hard news from what happens from day to day to day to day, and crime fiction gives me a platform to talk about these subjects in a more kind of detached way. Debbi: [00:10:32] I was going to say, the fact that you’re located in Southeast Asia plays very much into your writing, correct? Tom: [00:10:43] It does, but interestingly enough I’ve just finished a short story which is called “To Kill an Arab” and that will be out in an anthology in February in the US. And it’s set in Morocco and has nothing to do with Southeast Asia. So, yes I live here. I’ve worked on hundreds of stories here in the region, and of course many have to do with crime and conflict. So I’m sitting on a bed of very, very rich material. 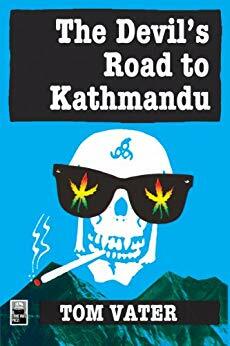 And that has flown into those particular three novels, while The Devil’s Road to Kathmandu is about, as I said, it’s about these three guys who drive a van from London to Kathmandu, and in the 90s, I took a bus from Kathmandu back to London. [00:11:33] So I’ve kind of done the same journey in reverse. So I’m feeding on these experiences that I either had when I was younger or that I’m having in a professional context. But I am also keen not just to write about what’s happening in front of my front door. That’s why I’m saying my recent story is set in Morocco, which is a completely different kettle of fish than Southeast Asia. Debbi: [00:12:01] Yeah, I mean somebody else was saying the concept of write what you know can go a little too far sometimes. Sometimes you want to write about what you don’t know. Tom: [00:12:17] Yeah. And there’s I mean there’s quite a few very successful crime writers. I don’t know about now, but in the past, who wrote crime novels about places that they’d never ever been to. I think Carter Brown wrote a lot of novels about places he’d never been to and there’s also a very famous German writer who wrote Westerns without ever having been to the US. So, you can be successful with that, too, if you’re clever and I guess a good writer, and still put people in the context of the story, even without having any firsthand experience of it. [00:12:54] For me, it’s simply … I also, I hear you regarding that you can put too much in of what you see around you, but you know it’s where I live and what I see and I feel like why shouldn’t I feed on this rich bedrock of culture and experience that that I have in this very peculiar life that I live, you know. Debbi: [00:13:20] Well, I think that’s great. I think it’s wonderful actually. Do you have any plans in terms of where the Maier series is going to go? [00:13:30] Do you kind of think in terms of the story arc for the character over the course of the series? Tom: [00:13:41] Yeah. I think for now, because it takes me a long time to write these books. I’m not very fast. I put one out every few years. So, for now, because Southeast Asia is part of where I work and I also work in South Asia. So I feel that because I’ve written the Southeast Asian trilogy now that I should give it a rest. And, as you just said, as you just mentioned somebody else’s quote, not ride the fact that I live here to death and think of some other places. So I rather suspect that my next book will be set in the UK, where I lived 15 years ago. I think so, but I’m not sure yet. [00:14:25] I think the next thing I’m going to write is another short story because the last two short stories I wrote, I’ve both managed to publish with very good outlets. So I’m very happy about that. And so I think there’s a good platform for me now in short fiction at this point. Debbi: [00:14:47] That’s good. Yeah, I think short fiction is something that’s kind of is coming back into its own now. Especially novellas. Tom: [00:14:57] Yeah, it does seem to be that way. I’ve just sold a 6,000 word story about a little island here. Here we go, Debbi. I’ve just sold a story set on La Réunion, which is a small African island in French territory off the coast of Africa that I’ve never been to. And the story is about they have a problem there with sharks. Sharks attack local people and the dive industry is suffering and the surfing industry there is suffering, but they suspect that the sharks have come to bite local people because they get used to effluents from the meat industry that flows from the rivers into the ocean. And me and a French journalist wrote a short story, novella around this idea, because my colleague had been to La Réunion and had experienced this directly. So we rewrote a story about a guy who commits a murder and pins it on a shark in order to make the sharks look bad. And that story came out with a German magazine called Écoute. And it’s been serialized into four or five parts. And so we’re delighted. And as I said I’ve written another story set in Morocco that will also come out in an anthology in the US. So I think for me also it makes sense at the moment to write short fiction. Yes. Debbi: [00:16:31] Very cool. I like the idea of a shark being framed for murder. Let’s see. And you said right now you’re working on short stories? Tom: [00:16:44] Yes, because me and the French journalist I was working on the story about La Réunion, because we managed to sell that, we are now in the process of trying to write a follow up to that one, which will then hopefully also be serialized in the same magazine. Debbi: [00:17:01] That’s great. Serials are in now. 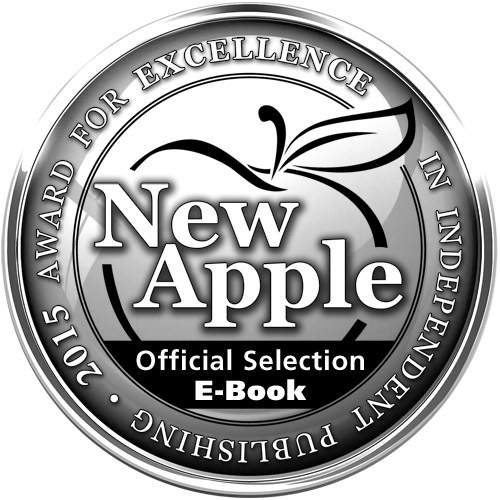 Debbi: [00:17:12] [laughs] Where can the readers find you and your books online? Tom: [00:17:16] Okay. So the easiest place to find me online is just under my name TomVater[dot]com. And they can also look on Amazon. I have an author page there. All my books are available there. 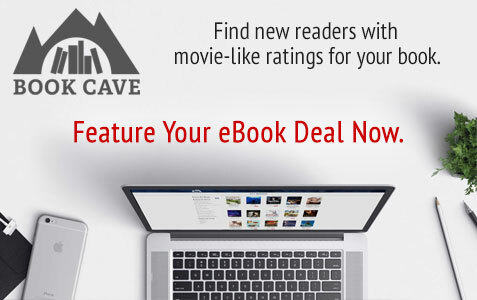 They’re also available on other platforms like Kobo and so there they’re around. I’m not hard to find at all. Debbi: [00:17:38] Excellent. And who are your favorite authors? Tom: [00:17:45] Oh God. There’s so many. From times long past, I suppose Joseph Conrad is my favorite author. I really like 1950s, 1960s American crime fiction. So from the early hardboiled guys like Dashiell Hammett, Raymond Chandler to the next generation of Ross Macdonald, Jim Thompson, David Goodis, and the aforementioned John D. MacDonald, of course. Tom: [00:18:19] And you got to help me now, because I’ve got a complete blockage in my head. Who was the character in that bloody series? I remember the sidekick’s called Meyer. But I’ll have to go to my shelf and look. Travis McGee. Debbi: [00:18:37] Travis. Yeah. Travis McGee. Yes, exactly. All I could think of was boat. In Florida. Tom: [00:18:46] That’s right. Yeah, yeah, yeah. The boat in Fort Lauderdale, right. Debbi: [00:18:49] And colors. He used colors in his titles. Tom: [00:18:51] Every title had a different color. Yes. Debbi: [00:18:55] He got very creative with that. Tom: [00:19:03] He was the world’s most widely read author by American soldiers in Vietnam. Debbi: [00:19:07] Interesting. I didn’t know that. Tom: [00:19:11] They had special U.S. forces editions of his books out for the troops in Vietnam. Debbi: [00:19:20] Very interesting. Is there anything else you’d like to add before we wrap up? Tom: [00:19:26] No. I’d really like to thank you for letting me speak, giving me a platform, asking interesting questions, and being on your show. That’s been really, really kind. Brilliant. Debbi: [00:19:35] Oh, it’s my pleasure. I love talking to other authors. Tom: [00:19:40] Thanks for reading my book. People can find me easily, and my books are all available on Amazon. Both my crime novels and my nonfiction. Debbi: [00:19:50] Excellent. Well, I just want to recommend Monsoon Ghost Image to all of you. I’m not doing your review here, but I will say that I’m enjoying it. 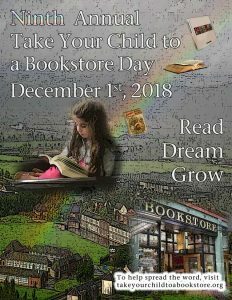 And so look for Tom Vator online, and buy his books. And with that I’ll just say, see you guys next time.